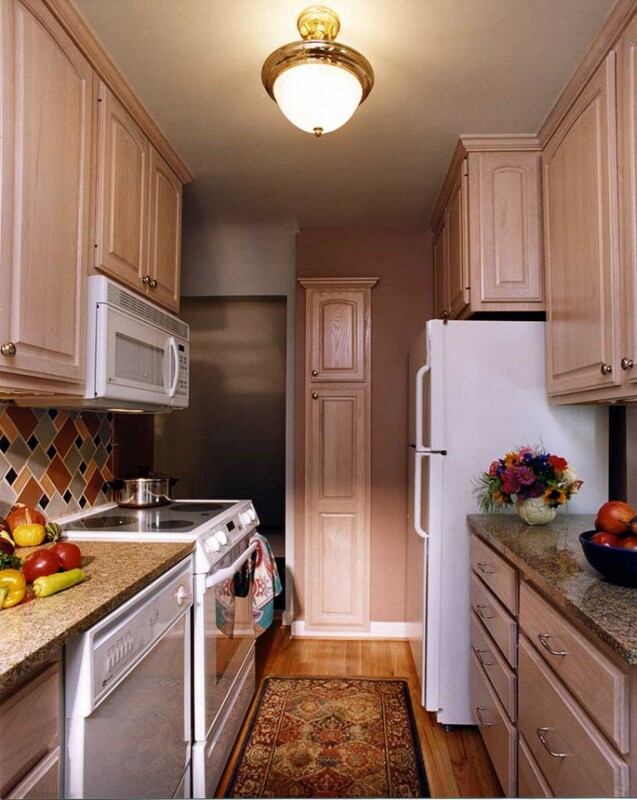 A traditional look was requested for a kitchen reorganized to be more functional. Unused space next to a large duct allowed room to be found for a tall pantry cabinet. 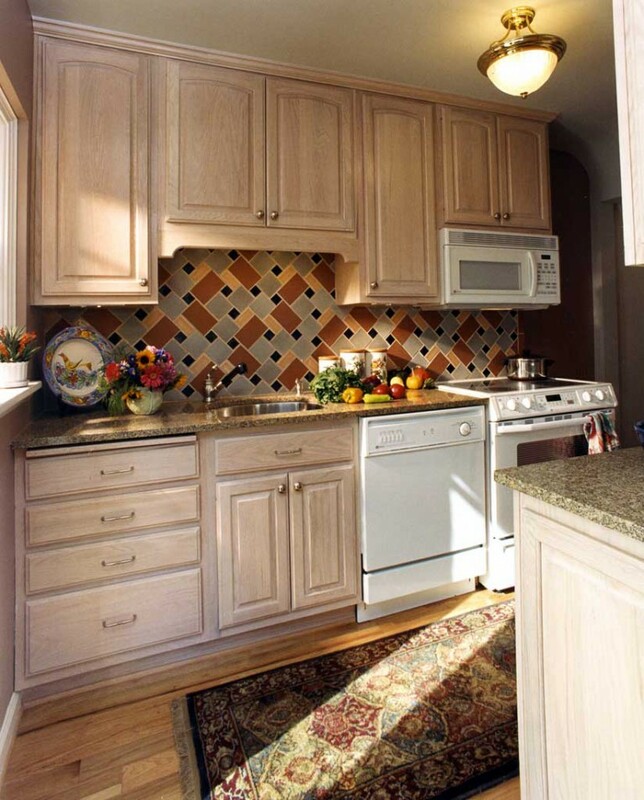 The backsplash tile connects favorite colors in a quilt pattern whose diagonal placement visually expands the sense of space.